Need to share a large media file, CAD drawing, or graphics-heavy report with co-workers or friends? Attaching large files like these to emails isn’t always possible. With Dropbox, you can send large files of any type to anybody from Windows or Mac, or from your iPad, iPhone, Android, or Windows mobile device. Simply create a shared link for a file or folder, then copy that link into an email, chat, or text. Or if you prefer, you can also share files directly from Dropbox. 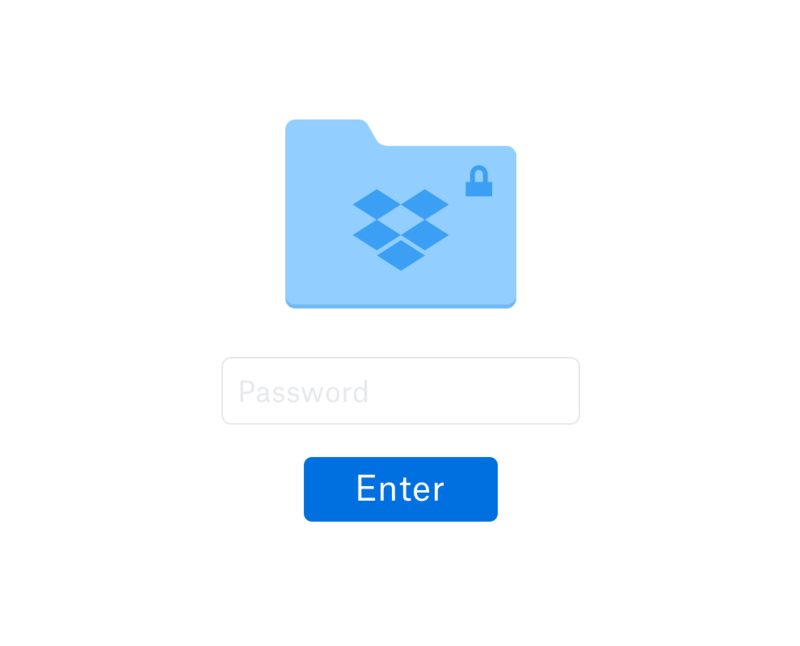 Recipients will be able to view and download your file—even if they don’t have a Dropbox account. Looking to share an entire project full of large files with partners or clients? 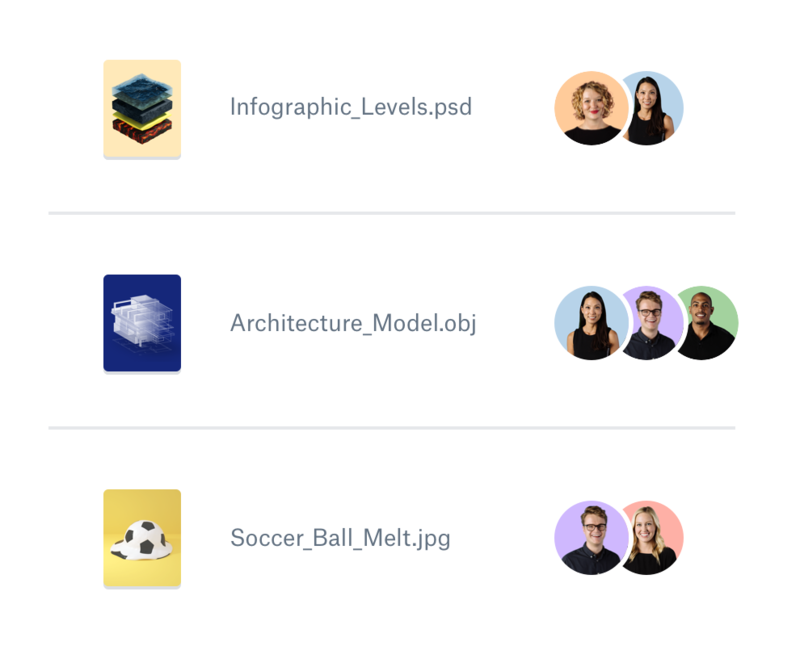 Dropbox Showcase lets you present and track your work, all in one place. Worried about what happens to your email attachments after you send them off? With Dropbox, you can maintain control of your files. 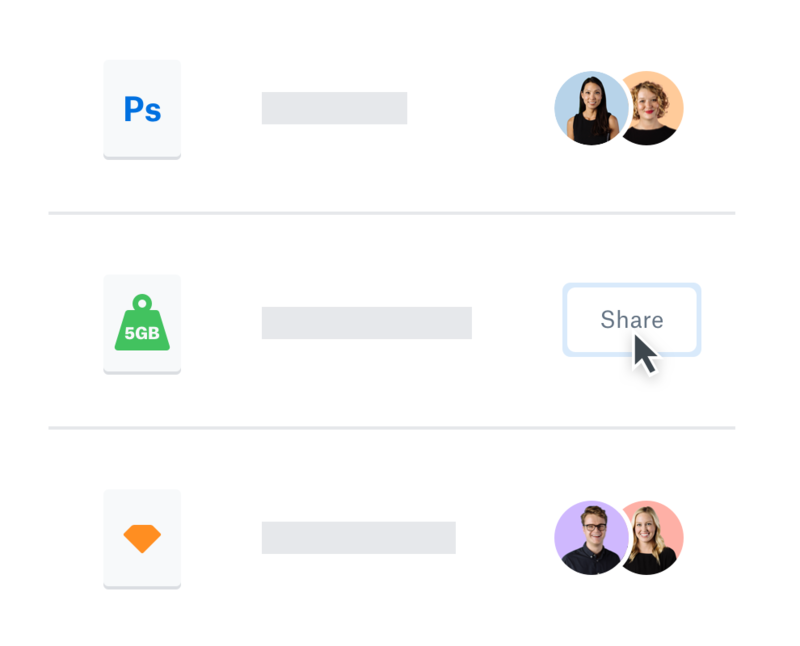 When you share a link to a file in Dropbox, recipients can view, comment on, and download the file—but they won’t be able to edit the original file. You can also password-protect a shared link and set a date for the link to expire. Or, if you want to give recipients the ability to edit shared files, simply invite them to a shared folder with the files inside. Dropbox makes sharing easy and convenient for the recipients of your shared files, too. File recipients can view and comment on any file—including Photoshop, Excel, and Sketch files—even if they don’t have those apps installed. You can also use Dropbox Showcase to easily create tailor-made presentations for your recipients, complete with customised layouts and file captions.